It's been in the pre-production stage since late February, so hopefully we've ironed out a number of problems already. We were a bit shocked when the similar-sounding Island Conquest map was first proposed, but we decided that since the gameplay in that map and ours was so different, this wouldn't be taken as a copy. Speaking of gameplay, this map is fairly straightforward. It has nothing fancy, since both Mjinga and I dislike the newer objective-oriented maps. We had one nifty idea that we may or may not act on based on public support, however. The volcanic island, Bishan, would be an ideal spot to have a quirky thing with neutrals and volcanic erruptions. Now, I'm not sure to what extent this is possible with the site's current coding, but we would like to have the armies on that island reduced by a certain number every certain rounds. This is widely variable; we could either make the negative bonus apply to every territory, or to a random one, or to only one held by the player with the majority of the territories on that island, etc., etc.. Furthermore, the decay could be every round, every other round, every third round, a random number of rounds, etc.. Or, there could be no decay at all, and the gameplay would be entirely straightforward. 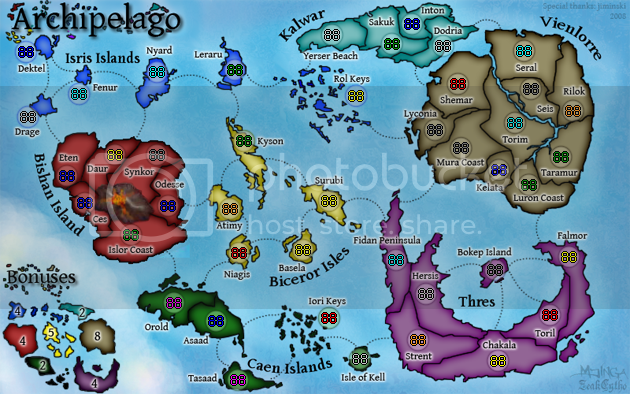 So, here's version 1 of the Archipelago map. Let the feedback begin! Last edited by ZeakCytho on Thu Sep 18, 2008 4:49 pm, edited 109 times in total. It looks good, for certain. To answer the volcano question, decay can be done every turn and is present in maps like Dust Bowl and Age of Realms: Magic. Any other decay setups (every other round) are impossible in the present XML. Idea-wise, it looks a bit much like Discworld. I highly suggest playing up unique elements to make this a success. Perhaps adding a capital idea or something similar. EDIT: Now that I've looked at the map, the shock has gone. Our maps are completely different. Good luck with yours. and the top right continent looks like mibi's terraforming video. Thanks for the compliment and the info TaCktiX. TaCktiX wrote: Idea-wise, it looks a bit much like Discworld. I highly suggest playing up unique elements to make this a success. We hadn’t thought about that, but looking at it, we don’t think it’s too similar. However, we’ll probably add the volcano negative bonus, which would make it undeniably different. InkL0sed, that was our reaction when you posted your map. Good luck with yours, too! t-o-m wrote: …and the top right continent looks like mibi's terraforming video. Erm, what’s mibi’s terraforming video? this map does not interest me in the slightest. maps that do interest me are real world places, 'what if' scenarios to real world places, real world events, maps based on things i know such as games/novels/movies & imaginary maps with a killer hook (think AoR series). so introduce a great game-play feature or find an actual archipelago that will draw me in. greenoaks wrote: this map does not interest me in the slightest. The impetus for making this map came from dissatisfaction on our part about the majority of the maps coming out of the foundry. While some people may enjoy objective based gameplay, both Mjinga and I prefer standard gameplay with minimal to no gameplay twists. Playing the same set of maps over and over again gets boring, though, and so we decided to create a new one with similar gameplay. We recognize that not everyone will enjoy every map, but perhaps given your lack of interest in this map, you can understand where we are coming from by proposing this. So, if at all possible, we'd like to avoid adding gameplay twists just for the sake of having them there. 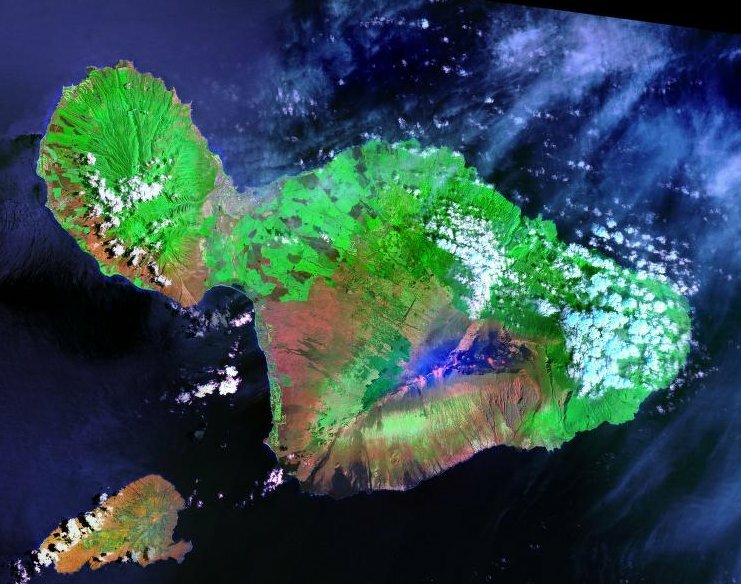 If we can integrate some that make sense, such as the volcanic island decay, we will (however, that particular one is looking unlikely to work as we want given the current XML capabilities of this site). We fail to see the similarity between anything in our map and the island in mibi’s terraforming video. We hate to have to admit it, but mibi’s island is much more advanced graphically than anything we’ve done. Likewise, we fail to see how our map simply duplicates the Discworld map. There are considerably more territories in discworld, and in addition it’s much easier to defend mid-ranking continents in the Discworld map. There are many more lines of attack in our map. However, if you would be good enough to point out the similarities, we'd be happy to attempt to change them, regarding either mibi or Discworld. i respect your decision to avoid game-play gimmicks and stick with a more traditional style. unfortunately your suggested map also fails to catch my attention via any of the others methods i have suggested. in short, a connection to my real life. this just seems to be a random, pointless collection of terts. is there not somewhere on this planet an archipelago that you could use as the basis of a map. what about an indonesian map, covering timor, west papau, bali, borneo, etc. it is certainly a volcanic region, if you are determined to show one on your map. by doing a real world place you can get people interested in it because they live there, the live near there, they have visited or think it would be a wonderful place to visit someday. remember every month you are competing with more and more maps on this site so if you can't capture our attention your efforts will be wasted. I like the colour and everything, but it looks exactly like Discworld, rolled out so it isn't a disc! Last edited by t-o-m on Tue Apr 29, 2008 12:04 pm, edited 2 times in total. I really don't see the similarities between Mibi's and ours in terms of design. If you're commenting on the overall shape of the island, then I suppose we both copied roughly from the shape of the island of Nantucket (http://upload.wikimedia.org/wikipedia/c ... A_2002.jpg), or Maui (http://upload.wikimedia.org/wikipedia/c ... _Photo.jpg), or Virgin Gorda (http://www.bareboatsbvi.com/images/Map_Virgin_Gorda.gif). While none of those 100% of either Mibi's tutorial island or the island in discussion for this map, I think it is abundantly clear that the geographical features we fell on are prevalent in nature. As for the Diskworld map, I'm going to be rather blunt. Despite being asked numerous times to point out the similarities, you've made no effort to do so. You reproduced both images, which we are perfectly capable of seeing with our own eyes, yet you continue to ignore the major gameplay differences between the two maps, not to mention graphical style and theme. 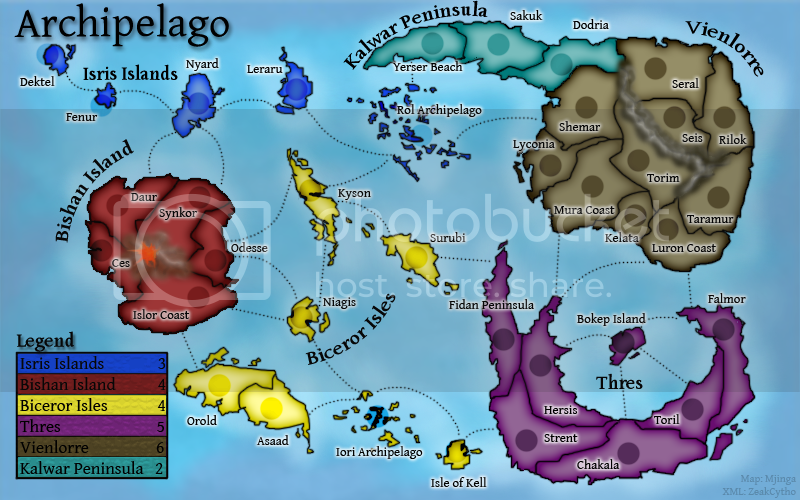 Diskworld has a large number of connected territories centered along one land mass with a few surrounding islands. In our map, each territory connects to a much smaller number of other territories, creating an intricate network of bottlenecks. There is no one large area to control with the exception of Vienlorre; the same cannot be said of Diskworld. Sorry for taking so long to reply, I was out of town for the past few days. point out what special gameplay features you have? DiM wrote: people don't like bottle necks and they avoid them like the plague. look at indochina. it has great graphics but nobody plays it becouse of the middle bottle neck. it's just bad. Gameplay is not all about gimmicks. By your logic, that would make Classic, Europe, USA, France, and any game that doesn't involve an objective or a quirky effect the same as Discworld, which is obviously not true. Gameplay differences stem from the layout of territories and continents in these maps; since each is slightly different, each map provides a unique experience while retaining the same system of gameplay. What we hope to do is take this system that is clearly well-liked and apply it to a new set of territories and continents connected in a way different than any extant map. A simple map with a plain style of gamplay that takes advantage of a geographic set not fully utilized in any map currently on CC. Perhaps that's not the contrived, farfetched type of theme that you're looking for, but those overdone maps are exactly what caused Mjinga and I to want to create this. Bottlenecks was the wrong word. There is no one territory that you can hold that blocks off a large portion of the map, as is the case in a number of maps, including Classic. There is only one dead end, but to hold the continent that encloses it involves holding many more territories. Rather, Archipelago has a network of small connections that creates a web, allowing intricate movement patterns. All of the continents have numerous borders, some contiguous and others not, creating this situation. If you think certain territories should/shouldn't connect to others, then say so. Let me remind you of a phrase which is at the crux of the Western legal system. The burden of proof lies on the accuser. Mjinga and I can refute what you say, but we are under no obligation to dig up proof as to why we are not like Discworld, though we have done so. 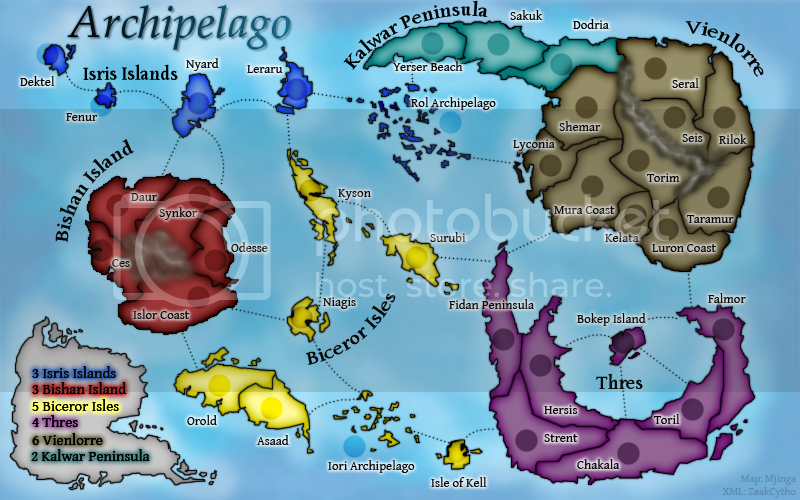 Since you are the one asserting that Archipelago is identical to Discworld, then you point out the similarities. Let me remind you of a phrase which is at the crux of the Western legal system. The burden of proof lies on the accuser. you are not in the Western world, you are in the map foundry. it is your responsibility to interest us or the map goes nowhere. By your logic, that would make Classic, Europe, USA, France, and any game that doesn't involve an objective or a quirky effect the same as Discworld, which is obviously not true. these maps interest us because they are real places. that is their gimmick or hook to get us to play them. Discworld's hook is its relationship to the novels many of us have read. you have no gimmick. you have no hook. your map has nothing going for it. as much as i like fantasy maps i don't find this one attractive at all. i mean making up a bogus archipelago just for the sake of it is wrong. if you want to create a special gameplay yes you can come up with fantasy realms to suit your needs but if it's classic gameplay then why not do a real place? you will have a lot more success by doing the hawaii islands or by making the malay archipelago because people relate better to a real place than to a fantasy theme. and frankly unless the fantasy theme comes from something very popular (middle earth, discworld) or the gameplay is something new and exciting (aom, feudal, aor) then people won't play it. look at this image of the malay archipelago. isn't it nice? hey - your the one making the map - your the one that has to defend the critisism, if you cant deal with it then you shouldnt make it. i think you can deal with it but there is nothing that makes it dramatically different. this has no theme, you say it is like classic - classic's theme is the world, this theme is a couple of islands. DiM is right, if you want a fantasy world, you have to have it as something we can relate to. and that image DiM - ii would play on that if that was made. ok i dont think this map is gonna work, wanna know why? bryguy wrote: ok i dont think this map is gonna work, wanna know why? thats what i was trying to tell you!!!!!!!!!!! ok ok enough with the exclamation marks!!!!!!!!!!!!! i had at the end of my post!! !